Increasing and intensified cross-border economic exchange such as trade and investment is an important feature of globalization. In the past, a distinction could be made between capital importing and exporting countries, or host and home countries for foreign direct investment (FDI). Due to globalization, FDI is presently made by and in both developed and developing countries. Differences in political, economic and legal systems and culture are no longer obstacles for FDI, and to varying degrees the economic development of almost all countries is closely linked with the inflow of FDI. 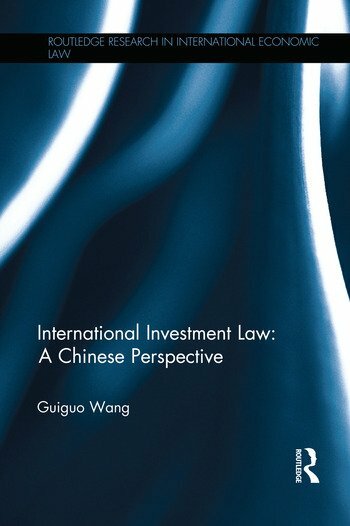 This book conducts critical assessments of aspects of current international law on FDI, focusing on cases decided by the tribunals of the International Centre for Settlement of Investment Disputes (ICSID) and other tribunals as well as decisions of annulment ad hoc committees of the ICSID. In examining such cases, Guiguo Wang takes into account the Chinese culture and China’s practice in the related areas. The book explores topics including: the development and trend of international investment law; unilateral, bilateral and multilateral mechanisms for encouraging and protecting FDIs; determination of qualified investors and investments and consent as conditions for protection; relative and absolute standards of treatment; determination of expropriation in practice; assessment of compensation for expropriation; difficulties in enforcing investment arbitral awards; and alternatives for improving the existing system. The book will be of great use and interest to scholars, practitioners and students of international investment law and international economic law, Asian law, and Chinese studies. Guiguo Wang is Dean and Chair Chinese of Chinese and Comparative Law at the City University of Hong Kong.